Often called banana pepper, this is a milder version of the ’Hungarian Hot Wax’ pepper (listed in the herb section). The shape, size, glossy skin and color are similar without the heat. 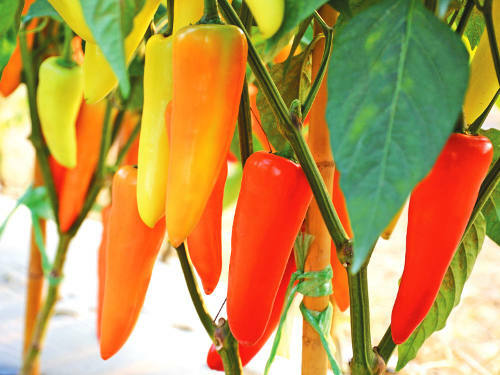 The fruits go from green to yellow, to orange and red as the fruits ripen, but they are best used when bright yellow. Good for stir-fries, stuffings, pickles, and raw in salads. 60-75 days.